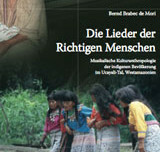 Indigenous people in Colombia constitute a mere three percent of the national population. 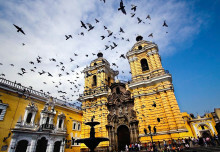 Colombian indigenous communities’ success in gaining collective control of almost thirty percent of the national territory is nothing short of extraordinary. 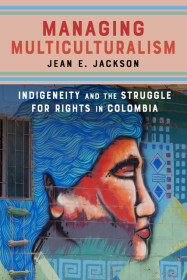 In Managing Multiculturalism, Jean E. Jackson examines the evolution of the Colombian indigenous movement over the course of her forty-plus years of research and fieldwork, offering unusually developed and nuanced insight into how indigenous communities and activists changed over time, as well as how she the ethnographer and scholar evolved in turn. The story of how indigenous organizing began, found its voice, established alliances, and won battles against the government and the Catholic Church has important implications for the indigenous cause internationally and for understanding all manner of rights organizing. Integrating case studies with commentaries on the movement’s development, Jackson explores the politicization and deployment of multiculturalism, indigenous identity, and neoliberalism, as well as changing conceptions of cultural value and authenticity—including issues such as patrimony, heritage, and ethnic tourism. 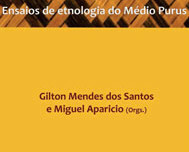 Both ethnography and recent history of the Latin American indigenous movement, this works traces the ideas motivating indigenous movements in regional and global relief, and with unprecedented breadth and depth. Jean E. Jackson is Professor Emerita of Anthropology at Massachusetts Institute of Technology. Her books include Indigenous Movements, Self-Representation and the State in Latin America (2002), co-edited with Kay B. Warren, and “Camp Pain”: Talking with Chronic Pain Patients (2000).